If you’ve recently hired a limousine for your next special event, whether it’s for a birthday or prom, there are certain considerations to keep in mind. For most people, travelling in a limousine is probably not a regular occurrence. Unless rich and famous, it’s likely to be something that only happens on very special occasions. This means that lots of you won’t know how to get the most out of the experience. At Swift Travel, we don’t believe in having lots of “rules” for our passengers – we want the emphasis to be on having fun. However, there are certain dos and don’ts that we expect our VIPs to abide by. If you’ve hired a limousine to simply take you to one location, you don’t really have to worry about planning ahead. However, for those wanting to make stops along the way, it’s best to have the different stops all planned beforehand. This is so you can let your driver know the finalised plan before setting off; this benefits both the driver and yourself. You don’t want to be that passenger that forces the driver to make an emergency stop so that you can go throw up on the side of the road. Drinking whilst in a moving vehicle isn’t advised; you should limit your drink until you arrive at your destination. A lot of companies will put a stop to it altogether. Here at Swift Travel, we have faith that our guests know not to get too drunk. 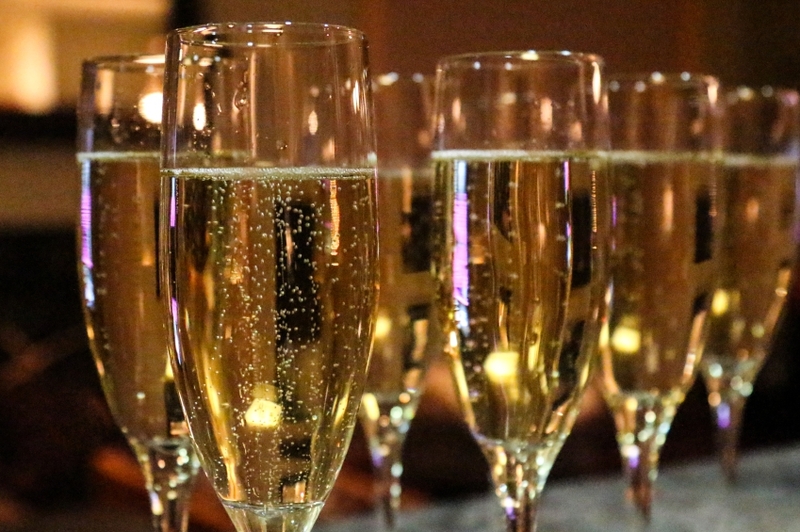 We actually provide complementary bubbly for each of our passengers – we want you to have a good (and safe) ride! We know that this one probably goes without saying! The number one rule of riding in a limousine? You HAVE to dress to impress! You’ve got the fancy transportation, so why not go all out and look the part too! You’ll likely to be dressed up for your event anyway, but what harm would a little more glitter do? The glitzier, the better! We hate having to turn people away because we’re not available on the date they’re requesting. Avoid disappointment by booking your limousine early! As soon as you decide that you want one, give us a call! Thinking about these things sooner than later is always advised – we get booked up quickly! We want you to have fun – this is probably our more important (and enforced) rule! From a passenger controlled stereo system to LED lights; our mission is to help you and your loved ones have a night to remember. Enjoy your night as an A-List celebrity – you don’t get to do it every week! Looking for the perfect way to arrive to prom? Or maybe you’re planning a hen or stag do and looking for something fun to entertain the guests? Whatever your occasion, please contact us today on 01279 739193 and we will be happy to provide you with some more information!